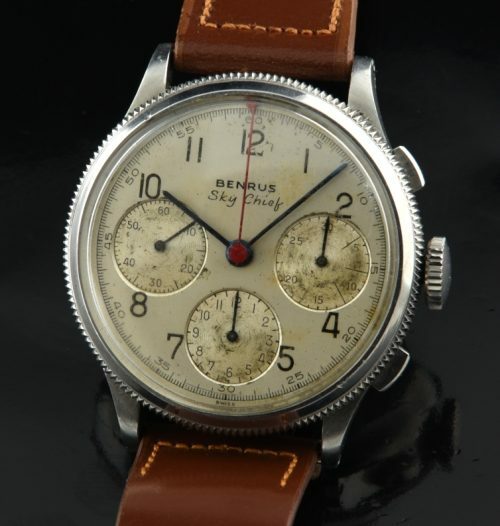 This is a fabulous all original Benrus Sky-Chief having the famed Valjoux 71 manual winding chronograph movement-accurately keeping time with all chronograph functions working perfectly. The original dial, having large sub-registers, original blued steel hands and red chrono hand has a pleasant patina, which I think makes the watch look quite attractive. 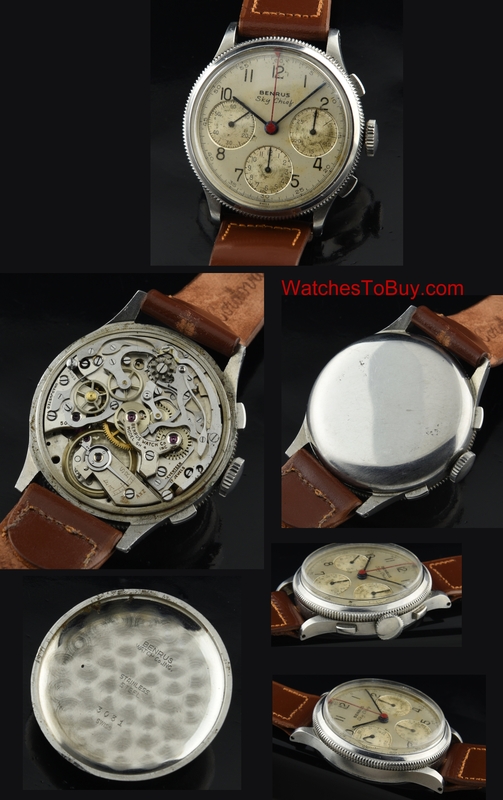 Most dials we are finding have been restored on these watches-it is great to find an original dial. The coin edge bezel displays excellent condition and is not sloppy when turned. The large stainless steel case really looks fantastic for its circa 1945 vintage and measures a sprawling 38mm. across. I highly recommend this watch, as any Valjoux 71 timepiece is steadily increasing in value. Just $1950.